A galaxy of color awaits with Andromeda Speckle! 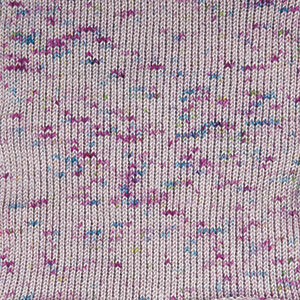 The medium slate gray background shows off the fuchsia, cyan, yellow, and kelly green specks that float like stars. This yarn is perfect for out of this world projects!